Are you a college student who finds that weight gain and college are just impossible to separate? And losing weight in college sounds pretty much like a fairy tale? Well, this article will help you get rid of that mindset and teach you how to lose weight in college! Don’t you just love autumn? The pretty leaves, pumpkins everywhere… But autumn also means going back to college which for some may mean unavoidable weight gain like the freshman 15. 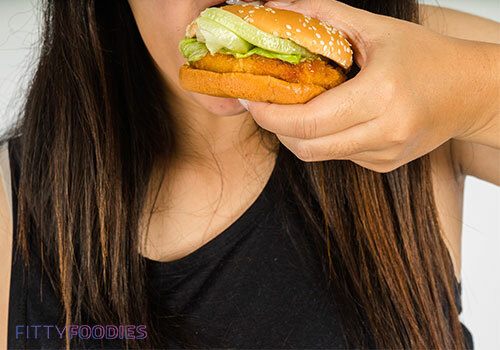 But the truth is, it’s a myth that college always leads to weight gain and that weight loss for college students is pretty much mission impossible. You just need to know how to eat correctly and what is best to avoid. 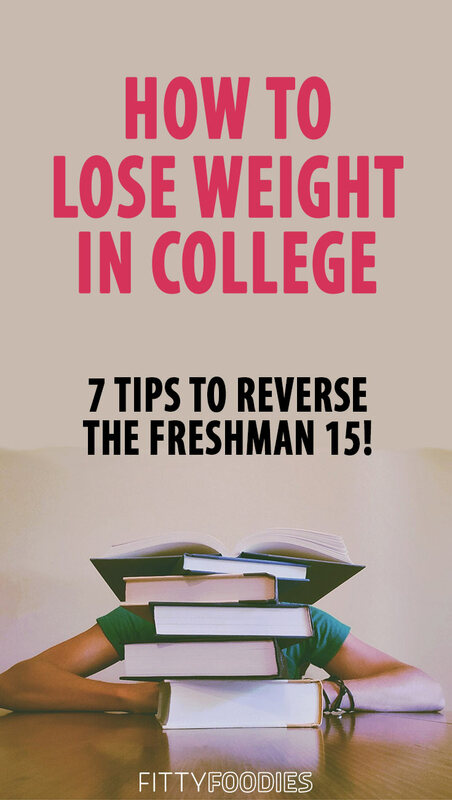 In this article, I will not only help you avoid weight gain but I will also give you some great tips on how to lose weight in college! So, without further ado, here are 7 easy ways to lose weight in college. This first tip in our list of how to lose weight in college & reverse the freshman 15 is to avoid sugar. I know, this may seem like an impossible and drastic move. 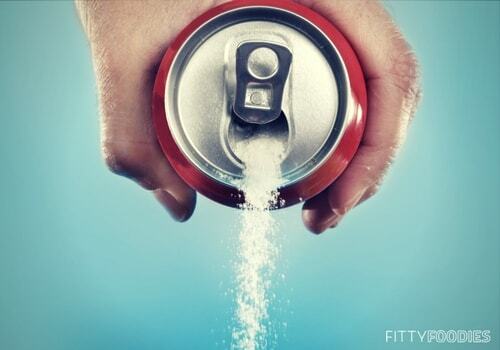 But you probably don’t even realize how much sugar you’re consuming as it’s so often hidden! That’s why sugar is one of the main reasons for college weight gain. For example, simple flavored yogurt usually has lots of sugar. Not to mention all of those caramel macchiatos and, of course, alcoholic cocktails! Sugar is usually the precise reason that losing weight in college seems impossible! So do your best at limiting the amount of it you consume. Trust me, you’ll definitely notice some results in the way you look! If you feel like quitting sugar is mission impossible, click here for some tips on how to sugar detox. I know it’s extremely difficult to maintain a stable sleep schedule in college with the abundance of work to do every day. But if you want to lose weight, sleep is absolutely crucial! A healthy sleeping pattern helps stabilize your metabolism, balance your energy levels and even helps with the motivation towards weight loss! Because let’s face it, when you’re constantly tired, you don’t really think about weight loss too much. Instead, you just eat whatever you find in the fridge without giving a second thought about whether or not it’s actually good for you. So do your best at keeping a stable sleeping pattern as it really has major influence on whether or not you succeed in weight loss! Click here for tips to get a better good nights sleep. Our third tip on how to lose weight in college is to drink lots of water. I know that with the never-ending lectures and homework assignments, it must be difficult to stay properly hydrated. However, not only is this a crucial part of your weight loss journey but it is also crucial for your overall health and well-being. You see, when you’re not hydrated enough, not only is your metabolism unstable which makes burning calories much more difficult. Dehydration often causes people to mix up thirst with hunger which leads to overeating. 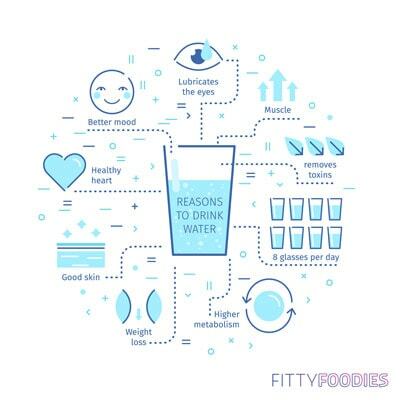 That’s why it’s very important to drink some water before eating a large meal. So always make sure you have some water at reach and just try to sip on occasionally all day. If you’re not sure precisely how much water you should have, click here to calculate your daily water intake! You may be thinking: “but I don’t have enough time to go to the gym several times a week!” Well, the gym is not what is implied here. You don’t need intense workouts to lose weight! By staying active, I mean try to move as much as you can throughout the day. Go for walks in your free time, park your car a little further, take the stairs instead of the elevator, etc. Here’s an article on how to walk for weight loss. If you’re up for something more than just taking walks, try out yoga! It helps stretch out your muscles and relax in between those stressful exams. Click here for 7 yoga poses for weight loss. All of these small changes really do make a huge difference! You’ll definitely see how you feel much healthier, happier, experience fewer aches in your body and, most importantly, shed some pounds! Long hours of studying and upcoming exams often cause students to eat huge amounts of food out of stress. But it’s crucial that you limit the size of your meals and turn them into small but frequent ones. This doesn’t mean eating more food. 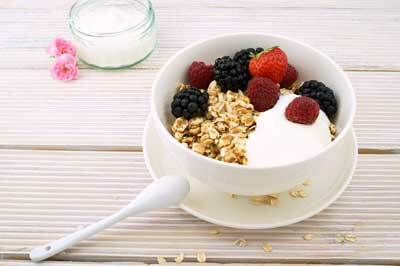 It just means dividing your regular food intake into 4-5 meals in order to avoid overeating, being bloated and sick. So you will always feel full but not too full! By avoiding eating out, I certainly don’t mean to stay home and not meet up with your friends! You should just try eating at home as much as possible and bringing some snacks with you when you go out. The reason for this is that you can never really be sure about how many calories and sugar are in a certain meal. That’s why eating out often results in ordering an unhealthy meal even if it seems pretty healthy. However, if you do end up eating out, here are 7 tips on how to consume fewer calories when going out. This is the most important part of losing weight in college! If you really want to lose weight, it’s not enough to just “pretty much” know what to do and what to eat. You really need a diet plan which tells you exactly how much to eat and what else to do in order to maximize your weight loss results! So it really is worth it to invest in a weight loss plan and make your weight loss journey much easier. 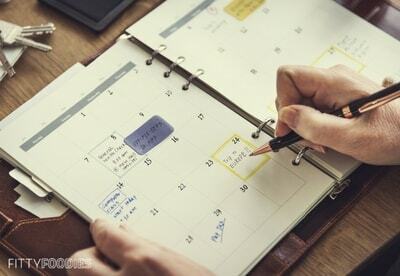 We recommend taking a look at the 15 Day Di.et Plan which will make losing weight in college a fun and easy process! This weight loss program will help you lose 15 pounds in just 15 days, making it the perfect program for those of you who need to lose weight fast! It will teach you in more detail how to lose weight in college, it will make you feel much healthier, happier and, of course, skinnier! So are you done procrastinating and are ready to take the first major step towards really succeeding in weight loss? Then click here to visit the official page of the 15 Day Di.et Plan and start your weight loss journey! 15 Day Diet Plan Review: Can You Really Lose 15 Pounds in 15 Days?